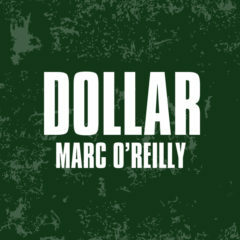 Today Marc O’Reilly releases his new single Dollar. The song is the first single from O’Reilly’s upcoming, fourth album, titled L’Etre Politique, that will come out on Friday, March 23rd. L’Etre Politique is a collection of rock songs with Marc’s characteristic voice and rhythmic guitar style in the spotlights. With his new single Dollar Marc O’Reilly makes a strong statement. Dollar is about Trump & Co and political elitism, empty promises to help the working man and woman who are left behind as the rich get richer. L’Etre Politique is Marc’s fourth album since 2011 and his second album in two years’ time. On the record you can hear noticeable influences from legends like Queens of The Stone Age and Pink Floyd, just to name a few. With his last album, Morality Mortality, Marc told a personal story about a lost love and his recovery after a life-threatening disease. This time he gives us his view on politics and the human interaction. Dollar is now available on all digital platforms. L’Etre Politique will be released on March 23rd and is now available as a pre order here.